LONDON are you ready for 2018! 7th & 8th April will come around at a lightning pace and ToyCon UK is ready to open its floodgates. 128 days to go until ToyCon UK tickets will be on sale Tommorrow December 1st at 8 am UK time. 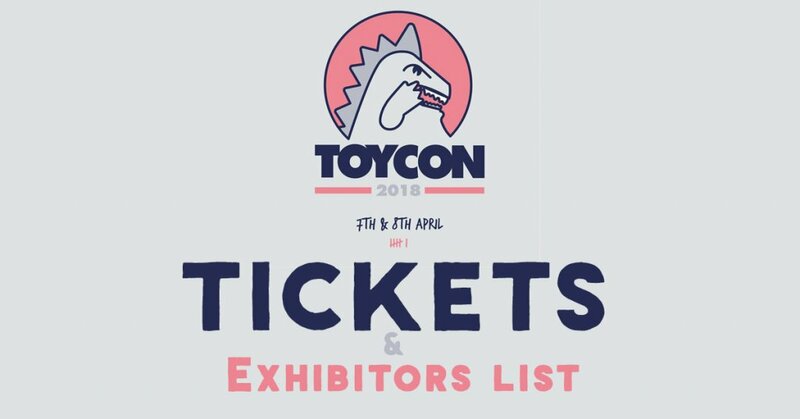 128 days should give you enough time to make some savings for ToyCon UK as the Impressive range exhibitors for 2018 is pretty impressive from NEW and returning exhibitors to companies/artists from around the world are set to be at ToyCon UK. Tickets releasing December 1st at 8 am UK time.